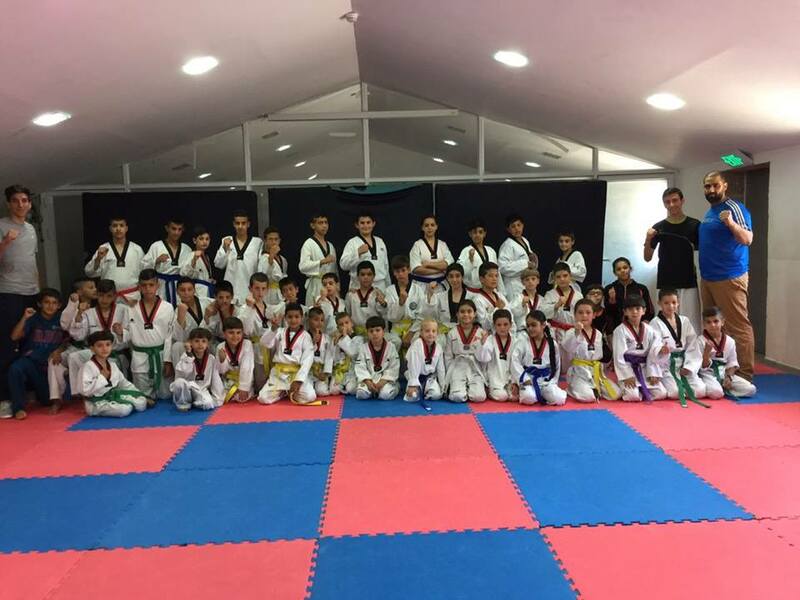 Burj Al-Luqluq Social Center Society hosted Abnaa’ Al-Quds Club Taekwondo players for friendly matches under the supervision of the Taekwondo trainers Mohammad Khalil and Zakaria Abu Al-Halaweh, in order to prepare the teams to participate in the national and international events. Around 30 players participated from Abnaa Al-Quds and 3o from Bur AL-Luqluq and they were divided based on their weights. One of the players is Mohammad Yaseeni who won the silver medal in the World Tournament for youth and he is getting ready to participate in the Olympic Games 2018.